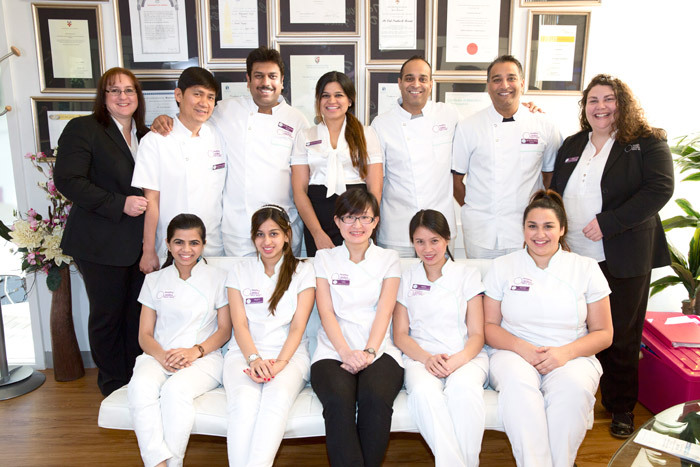 Today, cosmetic dentistry is extremely popular and if you’re looking for a good cosmetic dentist Blackburn practice, Healthy Smiles has everything you need in a quality cosmetic dentist. Our friendly practice makes having a perfect smile a reality and you’ll be able to enjoy some great benefits when you visit our practice. Here is a look at just a few things we have to offer you at our practice. First, you’ll find that your friendly cosmetic dentist Blackburn practice can offer you the very best in advanced dental technology. Our practice is equipped with the best tools to make sure you get efficient and accurate cosmetic dental work. When you want the best technology has to offer, you’ll find it at Healthy Smiles. We will offer you cosmetic dentistry that is worry free and comfortable. Not every cosmetic procedure is without pain. This is why we work to make sure you are treated appropriately to ensure you are comfortable during every procedure. This way you don’t need to have any anxiety when you visit our office to have procedures done. No matter what cosmetic procedure you need done, you can rest assured that we’ll be working to monitor you and keep you relaxed while you get the treatment you want. While you’re in the dental chair, enjoy listening to your favourite music so you can tune everything out. We even offer great LCD screens so you can watch a great DVD to keep you distracted while you are undergoing treatment. Refreshments and free Wi-Fi are just a couple of the other great amenities that our office offers you while you have procedures done in our office. When you visit our office at Healthy Smiles, we also can offer you the cosmetic dental services that you want. We offer many great cosmetic treatments, including veneers, inlays, crowns, bridges, teeth whitening, implants and more. No matter your dental needs, we’re here to help and provide you with the services that you need. Of course, you’ll also enjoy professional and caring care while you visit our cosmetic dentist Blackburn practice. Our team is here to make you comfortable and to come up with a plan that is personalised for your specific needs. We offer friendly professionals that will make you comfortable while providing you with the cosmetic dentistry treatments you desire.